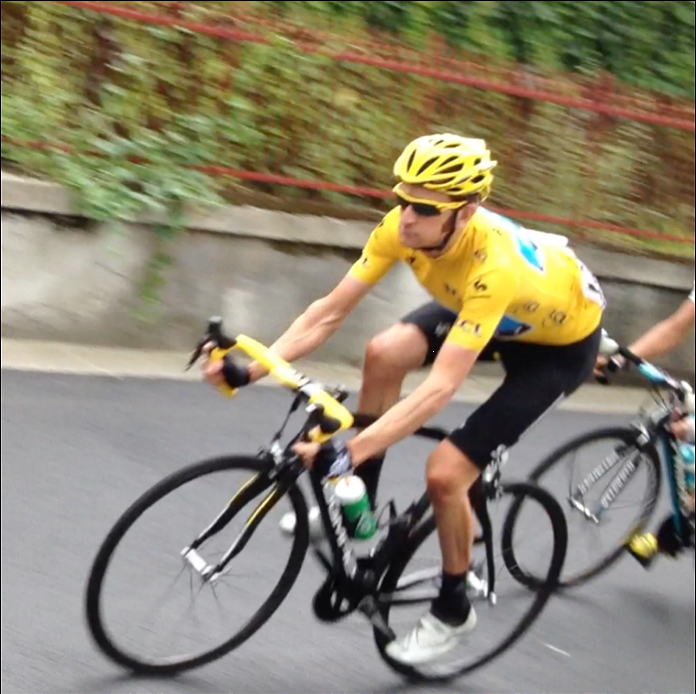 Home » Blog » Bradley Wiggins – champion but a bloody simpleton!! Bradley Wiggins – champion but a bloody simpleton!! Many people like to associate sophistication, complexity and cerebral evaluation with excellence and especially competence. Us psychologists and sports scientists can be guilty of this all too often…. to all our colleagues out there – let’s face it, just because we have read the studies on champion cycling technique and can debate the cognitive structures involved it doesn’t mean that we can automatically charge off on the tour de France!!!! So lets keep it simple…You have been told to think big,dream huge and achieve even bigger than that. Can you imagine Gold medalist Bradley Wiggins thinking anything but big? Would it shock you know that the champ is probably a professional simpleton? Whilst you let those thoughts settle in the background allow us to ask you to simplify the complexity of reaching your goal by picking one thing and one thing only….become professionally simple. You have a long way to go. The journey might last a lifetime and you need to keep consistent along the way. You know your destination, you know you have to train hard to get there. So be in this moment now and invest yourself in it completely by picking one simple thing to focus on. I asked My pro cyclist friend ” how did you just manage to cycle over 210km through the French Pyrenees in 8hrs, especially when you were brutalised by the wind and snow, and when you were exhausted beyond belief? He says to me with trance like eyes ” pick one thing, make it simple and almost meaningless, and focus on it. My body knows what to do and where it needs to get, all I need to do is keep my mind from talking about anything else. I focus on the sprocket of the guys bike in front of me, that’s it. Then when I’m leading , it just any spot in front that will do, why slow yourself down with weighty complications? Set yourself in motion and keep going until you are done” SIMPLE…..